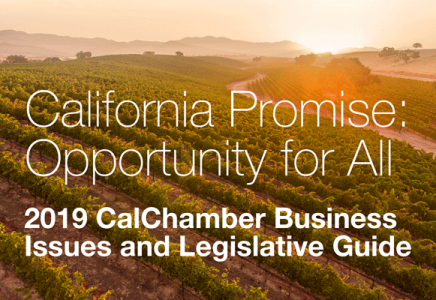 The California Chamber of Commerce reaffirmed support for the U. S.-Korea Free Trade Agreement (KORUS) in a letter sent September 5 to members of the Trump Administration, including the Secretary of Commerce and the US Trade Representative. The U.S. business and agriculture community have received reports that the Administration is considering withdrawing from the agreement, due to the imbalance of trade figures. Withdrawing would harm many in the U.S. business and agriculture communities and help few. It would also alienate a key ally at a time when regional security is fragile. Defending KORUS is a priority issue for the U.S. Chamber, the California Chamber, and businesses across the country, as the agreement has high standard rules and significant tariff savings that have allowed the U. S. to compete effectively against Korea’s 11 other FTA partners. Per the U.S. Chamber, the U.S. does have a $28 billion goods deficit with Korea. However, from 2014 to 2016, Korea’s imports from the world fell 22%, causing significant losses to Korea’s other trade partners while U.S. exports during that time held steady thanks to KORUS. The bulk of the U.S. deficit is autos and electronics. U.S. imports of Korean cars have roughly doubled, but this transpired without any reduction in U.S. tariffs. In other words, KORUS has had nothing to do with the $24 billion worth of Korean vehicles that America imported last year; rather, it is attributable to strong auto demand in the U.S. as Korea sold into a U.S. market. At the same time, imports from Korea are trending down, while U.S. vehicle exports to Korea continue to rise from a low base. The U.S. business community views KORUS as a strong agreement as written, and urges the administration to focus on more effective enforcement to solve issues as Korea’s economy improves. Following the U.S withdrawal from The Trans Pacific Partnership, if the U.S. now withdraws from KORUS, the U.S. will lose significant market share to the EU, Australia, China and others while sending a very dangerous message that America is not interested in doing business in Asia and at the same time also significantly damaging America’s influence. Korea is California’s seventh largest export destination. California is the top exporting state to Korea, making up nearly 20 percent of U.S. exports. In 2016, California exported over $8.2 billion to Korea. Top products from California to Korea included non electrical machinery, computers and electronics, transportation equipment and food products. There are over 1 million Korean-Americans in the United States. Los Angeles alone is home to 158,000 residents of Korean origin, according to the Migration Policy Institute. There is also a large population of Korean students studying at higher education institutions across the U.S. Korean visitors enter the United States via the U.S. Visa Waiver Program. The CalChamber was part of a broad-based coalition that waged a multi-year campaign to secure congressional passage of the U.S.-Korea FTA. Congress approved the FTA on October 12, 2011.This comprehensive agreement was approved by the U.S. House (278-151) and the U.S. Senate (83-15). The South Korean Parliament followed suit on November 22, 2011. March 15, 2012 was the implementation day for the landmark U.S.-Korea Free Trade Agreement (FTA), the product of years of collaboration by the business community and both governments. The California Chamber of Commerce-supported FTA is the biggest free trade pact the United States has reached since entering the North American Free Trade Agreement (NAFTA) in 1994. Implementation of the U.S.-Korea FTA has eliminated tariffs and other barriers to trade in goods and services, promote economic growth, and enhance trade between the United States and Korea. On Thursday, December 6, 2012 the California Chamber of Commerce received the prestigious Presidential Citation from the government of the Republic of Korea for promoting U.S.-Korea trade and commercial relations, and specifically for contributing to the passage of the U.S.-Korea Free Trade Agreement.